After the release of details of President Trump's first medical, the internet is, predictably, awash with claims that his weight, and possibly height, are incorrectly reported. Can these be verified by independent data? Apparently Jeb Bush is actually 6’ 3". 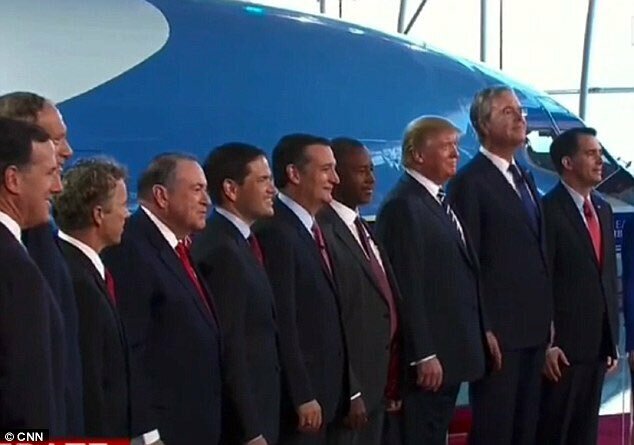 Donald Trump appears to be several inches shorter in every picture of them together. Now, I will be the first to admit that BoingBoing has anti-Trump leanings. as do the majority of its commentators, BUT, are there any other photograph of him standing beside objects of known size which can be used to accurately determine his height (somehow taking into account his shoes)? If so, is there any reasonably accurate method of examining photographs of a person of known height, estimating their bodily dimensions, and stating whether he probably is or is not (or cannot) weigh in the range of 239lbs? In short: Trump was never 6'3" (190.5cm) and his weight is probably higher than 239lb (108kg). He is much more likely 6' and obese. Trump is definitely taller than average and was routinely photographed with people in his youth, suggesting the 6'2" (188cm) was probably a reasonable estimate of his height. CelebHeights, which estimates heights and identifies which celebs use lifts/exaggerate their height, puts his peak height at 6'2" (188cm). Remember, most people will lose at least an inch or two (2-5cm) of height as they age, so a 71 year old is unlikely to be the same height they were in their 20s. He is quoted as saying in The New York Times, "Hey, I'm 6 foot 3". In his 2016 medical files, his Doctor claimed he was "6'3" tall and weighed in at 236 pounds, although when photographed with a 6ft 2 measured Athlete, that claim seems unbelievable. Trump's own Driving License listed him at 6ft 2. It seems clear that from recent photos Trump can't be any taller than 6'1" (185cm) and is more likely roughly 6' (183cm). E.g. 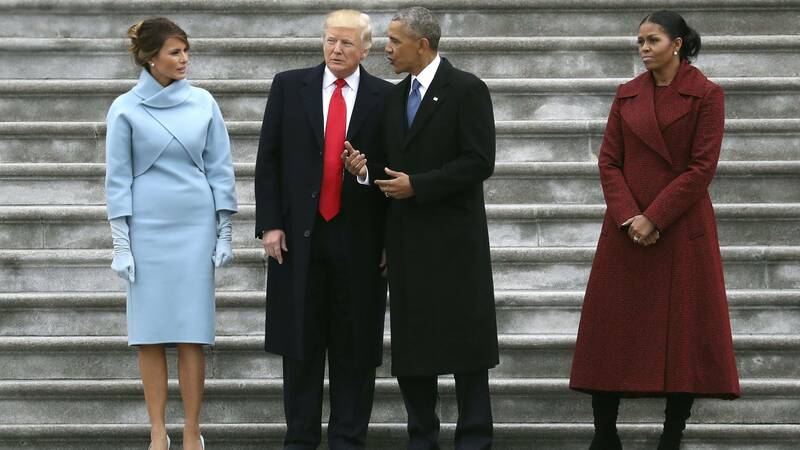 these photos with Obama who is listed at 6'1"
Trump's weight is harder to pin down, as he wears tailored clothes that hide his girth (because weight will fluctuate when campaigning). He is clearly overweight even with this visual aid. It is much more likely that he is obese, as he is on the record as saying he doesn't like to exercise, and isn't carrying much muscle, yet looks heavyset. Recordings of the Dr Oz Scam, sorry, Show, had audience members citing two differing figures for Trump's weight during his appearance. Trump said he currently weighs 236 pounds, according to two audience members. Other reports had audience members giving conflicting readouts, with some saying Trump put his weight at 267 pounds. So he could be as heavy as 267lbs (121kg), which is not unbelievable. If his weight was 239lb (108kg), then combined with his revised height that can be easily evidenced, he is obese. At the heavier weight he would be Class II obese. One image showed Trump standing next to former baseball player Alex Rodriguez, who is 6ft 3in. Rodriguez looked considerably taller. 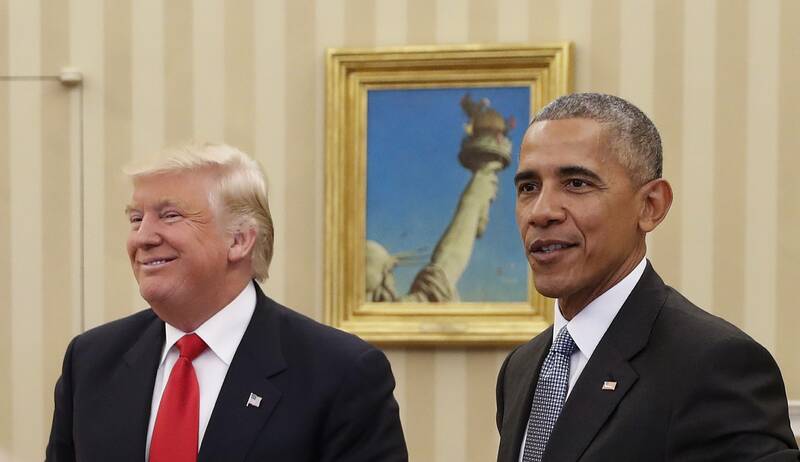 A photo of Trump next to Barack Obama, taken one year ago at Trump’s inauguration, seemed to show that the pair were of the same height. Obama is 6ft 1in. The Guardian article also talks about Trumps' weight in comparison to athletes of similar height but this probably even less relevant health-wise because differences in muscularity are apparent and thus so is the body fat percentage. Standing at 75 inches tall, or 6' 2.5", and weighing in at 239 pounds, Trump's weight places him at a Body Mass Index (BMI) of 30.3, or, if his height is rounded up to 6' 3", 29.9. Based on Trump's BMI, it is possible that he should consider losing 39 pounds, which would place him at a BMI of 25, right on the borderline of "normal weight" and "overweight" for someone of his height. Dr. Jackson said at Tuesday's briefing that after conducting last week's physical, he and the president set a goal of losing 10-15 pounds. If he kicks his notorious McDonald's habit, that target should be easily attainable. Is this Donald Trump and did he slap the governor of Mexico City?